No matter how good the an enterprise’s content marketing strategy is, if the “delivery, distribution, and collaborative interaction tools” are inadequately used, that strategy will fail to realize any ROI from the content marketing effort. An effective content marketing strategy will ensure that the shared content is available for real-time use—leading to productive, customer engagements and leads generation. Long ago, video-conferencing system providers realized that video conferences are not enough; technology must enable real-time viewing, discussion, annotation, and even signing of content files. The content assets of a business may include documents, images, audio clips, and videos. 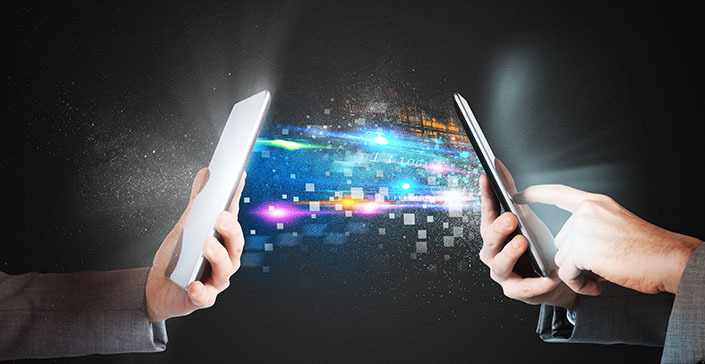 The newer technologies on digital platforms now enable remote meetings with productive outcomes. According to the following Forbes blog post, one of The Top 7 Content Marketing Trends that Dominated 2014, was content sharing for business gains. So you will agree that a critical component of content marketing is creating, distributing, and sharing content for customer engagement. This trend also validates an often undervalued axiom “Content is King.” But even great content is of no use unless it is shared, and shared over and over again. In order to use create effective content for customer engagement, businesses first need tools to gather the content needs and preferences of their target customer bases. So, how can businesses gather and use the necessary information about their customers? More importantly, how can they create customer-centric content? How can businesses use content-sharing tools to gather overall content-marketing metrics? In recent time, technology-enabled content sharing has promised to facilitate “content creation, distribution, and sharing” for profitable business outcomes. Recent market trends show that users look for certain desirable characteristics when shopping for content-sharing tools. Such features may be. Integration with the mobile platform. A major item in shopper’s wish list is also a plug-in integration for browser sessions or video-chat sessions, so that business meetings with live interaction can be concluded without a hitch. 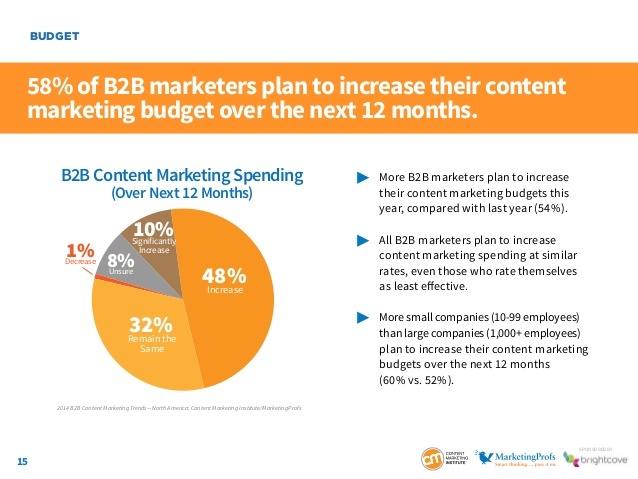 The following graph, extracted from B2B Content Marketing 2014 Benchmarks, Budgets & Trends – North America by Content Marketing Institute and MarketingProfs shows that the budgets for content marketing strategy is steadily showing an upward trend, which indicates a healthy market prospect for the content-sharing tools market. It may be worthwhile to note that this report also states that 44% of polled B2B marketers in US reported that they had a documented, content-marketing strategy in place, and 73% of polled marketers revealed that they had a designated head of the enterprise content-marketing function.